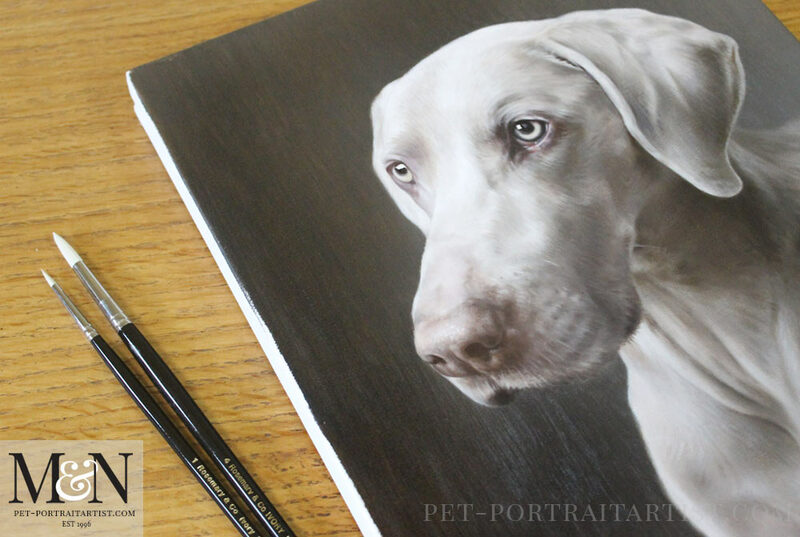 Welcome to our latest Weimaraner pet portrait, hand painted by Nicholas Beall. Isn’t it fantastic! 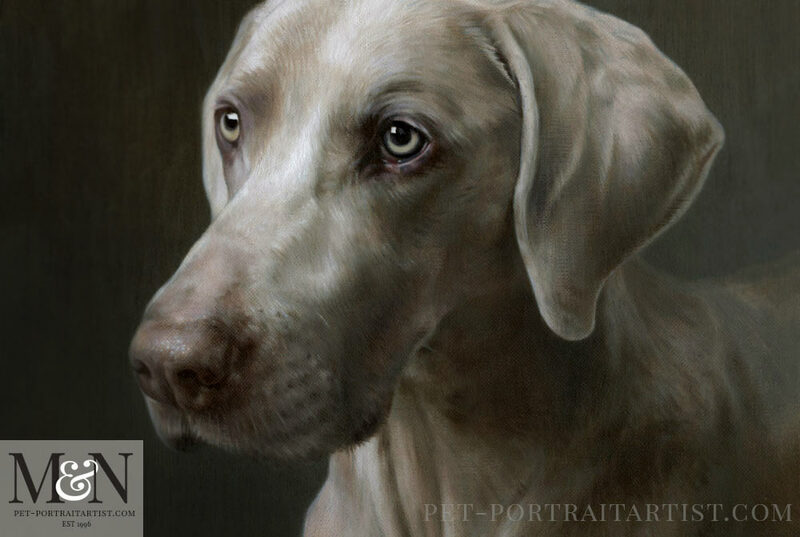 I think it’s one of my favourite portraits to come out of the studio recently that Nicholas has painted. 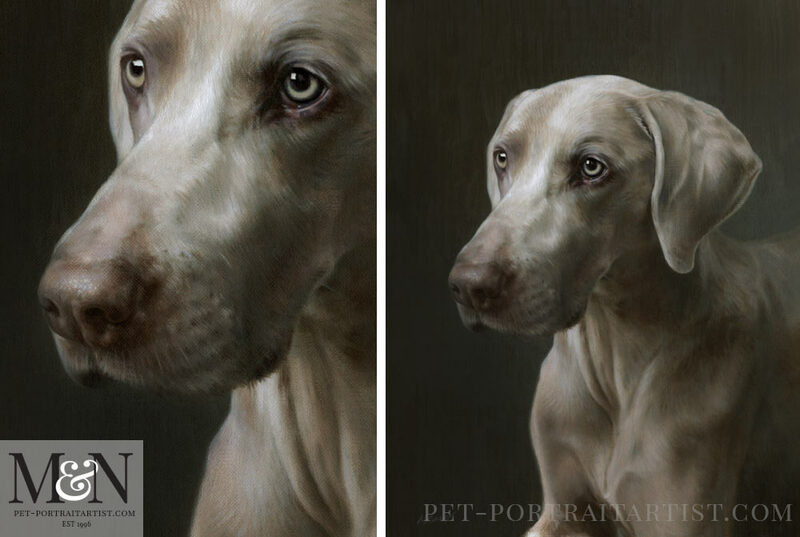 The Weimaraner in question is called Ramses and he was commissioned by clients in the USA at 14 x 11 inches. 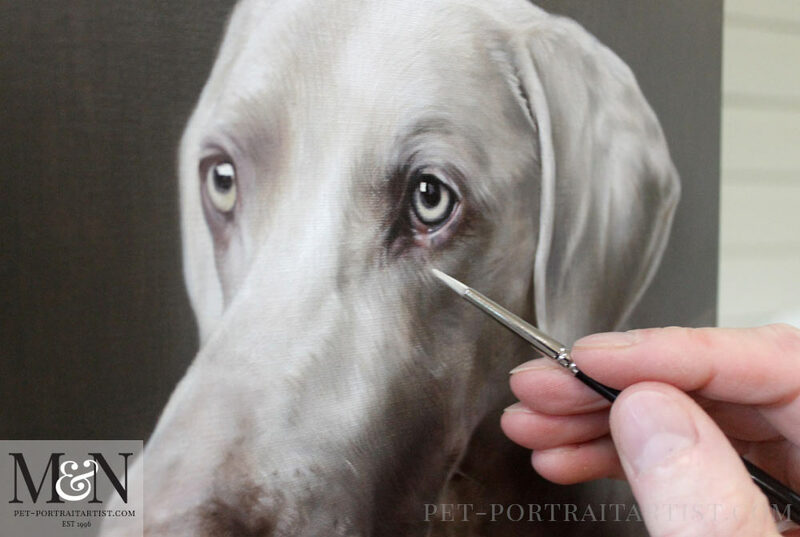 The portrait was painted on Italian Linen canvas and will be framed by our clients. Karen and her husband asked to have Ramses painted with a dark background behind. Nicholas paired the colour pallet and tones of Ramses’ coat for the background. He also blended his back into the background too. The dark grey, charcoal colours work beautifully with him. As everything is fairly neutral in tone, it allows Ramse’s eyes to really stand out from the painting. I am pretty sure it’s where everyone looks first, flowing their eyes around down the ear and to the nose. Actually the nose has also been painted stunningly, it has tinges of browns which works with Ramses muzzle colour, the delicate detail is superb. I have added a final scan and detail below. Also I added a larger close up detail so everyone can see it clearly. 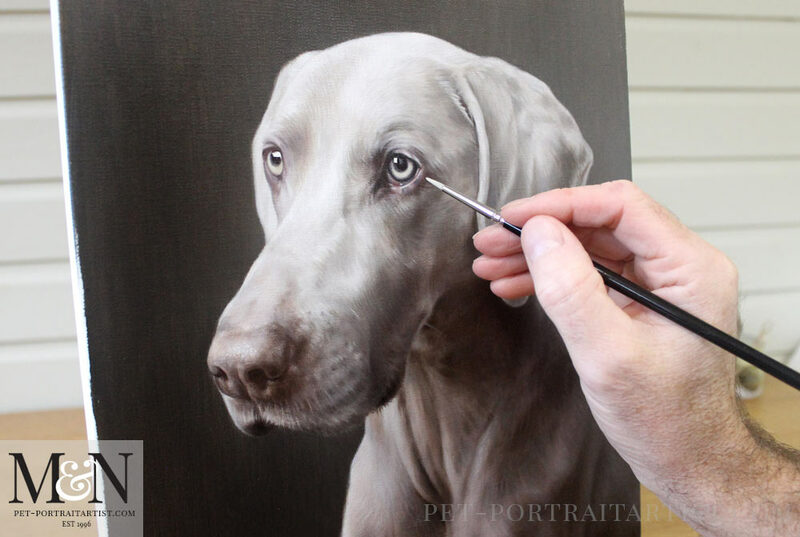 If you can scroll down you can see photos of the painting too! That looks stunning and he did such a wonderful job. We are so happy with the way it has turned out! Here is Nicholas with his hand and paint brush next to the painting for our readers to view the size relationship between the painting and the brush. I also took a few photos of the portrait on our plan chest next to Nicholas’ brushes. 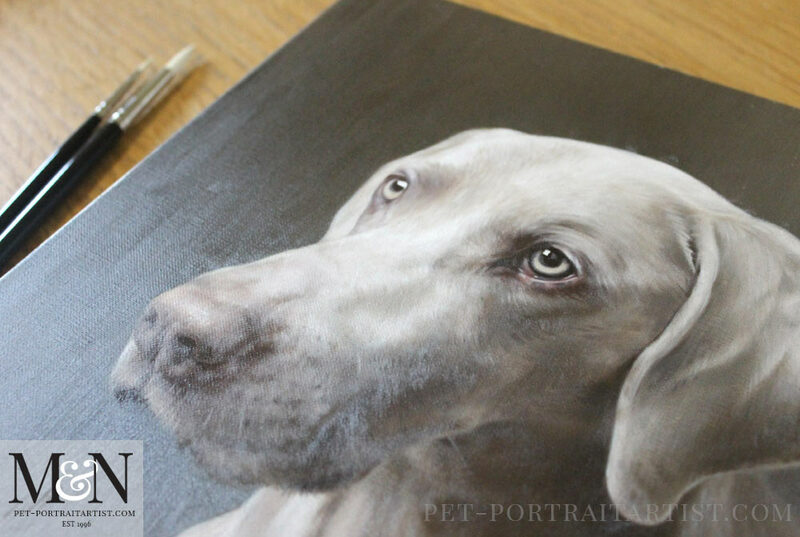 As the background is fairly dark the canvas has pick dup some shine where the light was on in the studio, however it hopefully gives our readers a good representation as to what the painting is like. We hope you all like it!